CBD Oil Review rates Sagely Naturals with five stars because it qualifies for the Quality, Safety, Charity, Mission & Innovation Badges. Body product CBD-loving enthusiasts rejoice – there is now a clean, laboratory-tested product to fulfill your needs. Sagely Naturals is an excellent option for those seeking a CBD-enriched body care products of the highest quality (and without toxic chemicals like parabens, synthetic fragrances, artificial dyes/colors, and sulfates), formulated by a PhD chemist with over 20 years experience. Sagely Naturals places their emphasis on topical body care products infused with CBD; they boast that everything they sell is free of parabens, synthetic fragrances, artificial dyes and colors, and sulfates. We agree with their statement that finding non-toxic body care products can be a huge challenge in today’s world, much less one containing CBD. And so what Sagely has achieved with their contaminant-free product line is nothing short of remarkable. 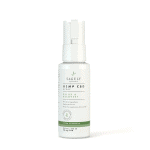 Sagely Naturals’ products are affordable – ranging in price from $20 to $50 – and include a CBD-enriched essential oils-infused spray, cream, and headache roll-on, with the only non-topical item being CBD capsules. 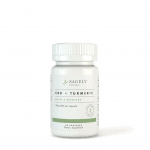 The capsules contain the most CBD found in Sagely’s products overall; the topical formulations contain between 25mg-50mg of CBD, while the organic whole plant turmeric and hemp extract capsules contain 10mg of CBD per capsule – with 30 pills to a bottle (that’s 300mg in total). From a safety perspective, Sagely is heads and shoulders above the rest, offering up-to-date CoAs for each SKU on sagelynaturals.com that confirm their hemp oils are free from common contaminants like heavy metals, pesticides, and residual solvents. 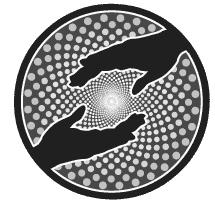 All in all, Sagely Naturals offers head-and-shoulders above what many vendors choose to do in the name of customer safety and true CBD innovation. Sagely has created a brand that embodies everything we hope all CBD companies will eventually achieve: approachable, accessible, and premium quality products for all. 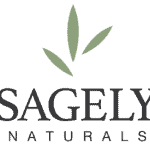 Sagely Naturals sources CBD extracted from organic, non-GMO, USA-grown hemp. Sagely Naturals posts up-to-date third party lab test results right on their website. Sagely Naturals strives to offer CBD products that get people back to doing what they love most. Sagely Naturals donates a percentage of all profits to the non-profit organization Realm of Caring. Sagely Naturals sources CBD extracted with supercritical CO2 extraction technology. Since I discovered CBD I found this product to be massively helpful. Sagely products are great. It is refreshing to see any company that makes high quality CBD Oils, it helps keep the standard high for our industry.